Launched in 1986, the Jaguar XJ40 was a car that quickly went from being Jaguar's great white hope to being a bit of a relaibility disaster - despite a gestation period of more than 14 years. In many senses, then, the company's failure to deliver the quality expected of it was unforgiveable, but for one thing. Despite its flaky build quality and litany of electrical gremlins, the XJ40 was really quite a charming car. And while its well-documented foibles kept it in the bargain basement for many years, the XJ40 is now finally starting to catch on as a classic. Time sorts the wheat from the chaff, and as a result most of the crusty, badly maintained XJ40s are long gone, the remainder being cars that have been cherished and well looked after. Plus, the later cars were actually far better than those built in the 1980s. From 1991, the range was revised, to include new 3.2- and 4.0-litre engines and more traditional (and far more reliable) analogue instrumentation, as well as a higher level of rust protection. 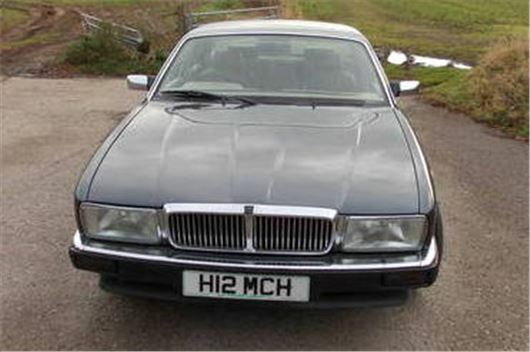 And it's these XJ40s that make the most sense. Finding a good one is the challenge, though, and in recent years the market has shifted. A quality XJ40 with a decent history won't come cheap these days.